Within hours of returning from Seattle due to some Black Friday shopping (curse that exchange rate! ), Costanza and I decided that cooking dinner at our respective homes was not in the cards. Hence, we met up at a little unassuming sushi joint out on Hastings just East of Boundary. 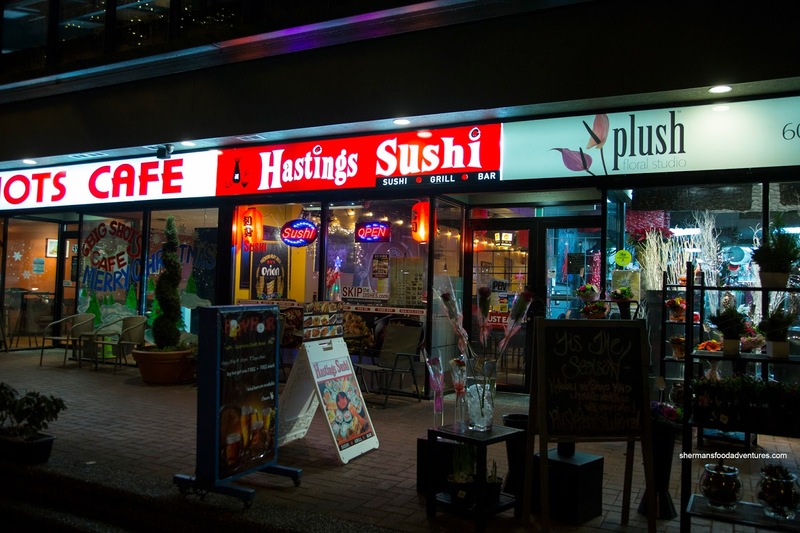 Aptly named Hastings Sushi, it replaces the underwhelming Little Tokyo Sushi with minor refreshes with the interior and a few new menu items. 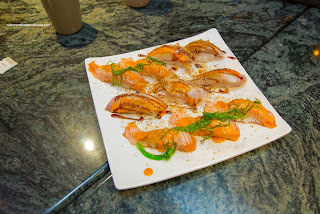 We decided to try one of their specials being the Flame Sushi consisting of Tuna and Salmon. With a good fish-to-rice ratio, the pieces of seared nigiri were decently pleasing to eat. The sear was rather conservative, so the smokiness was kept to a minimum. As for there rice, it was a bit dry while still chewy exhibiting a rather bland flavour. However, the addition of sauce helped alleviate it, but we thought it was a bit too spicy. 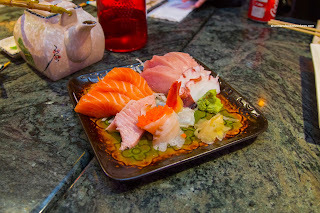 Next up, we tried the Assorted Sashimi that featured only slightly bigger-than-normal slices. This meant they weren't cumbersome to eat while the freshness was definitely there. The toro was probably our least favourite of the bunch. Onto some cooked appies, Costanza beat me to the punch and ordered the Chicken Karaage. This was surprisingly small, but I guess I'm just too used to the oversized portions of other value sushi joints. 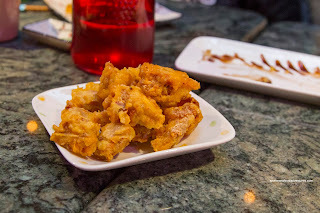 This was fairly decent with succulent pieces of chicken coated with a light and crispy batter. Definitely not traditional, but good nonetheless. He also got an plate of the Gyoza for his youngest son because he didn't want to eat anything else. Wow, my son wasn't the pickiest! Shocking... Well, these were more like Chinese potstickers as the dumpling skin was rather thin. There was a nice sear on the bottom with a meaty filling that was mildly seasoned. For our one specialty roll, we got the Red Dragon Roll consisting of salmon and cucumber topped with spicy salmon and tobiko. 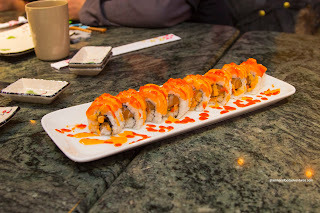 Although not aggressively sauced, I found the roll a bit too spicy with an overuse of sriracha. Despite this, the salmon was buttery while the rice was chewy and mildly seasoned. Exhibiting a noticeable amount of sear, the Beef Yakisoba was pretty decent. 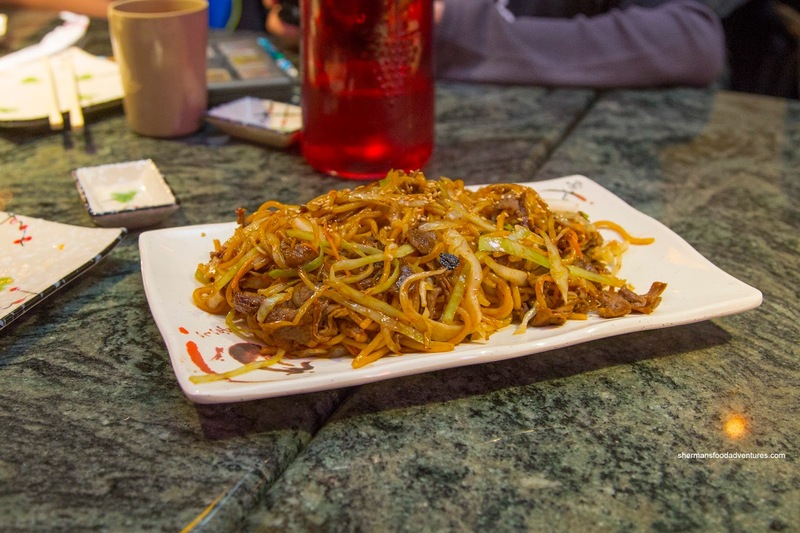 It was somewhat dry with a good amount of ingredients albeit the beef was rather chewy. Flavourwise, it was a good balance of sweet and salty, but I would've liked to see a bit more tanginess. Lastly for the kiddies, we got the Teriyaki Chicken served with a small amount of rice. As you can see in the picture, there was a good amount of chicken which was fried up crispy on the skin side. The meat itself was succulent and tender. 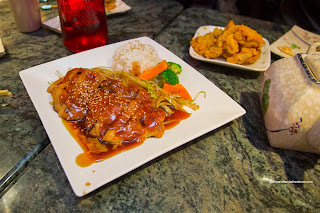 There was quite a bit of sweet teriyaki sauce which wasn't as overwhelming as it appeared. 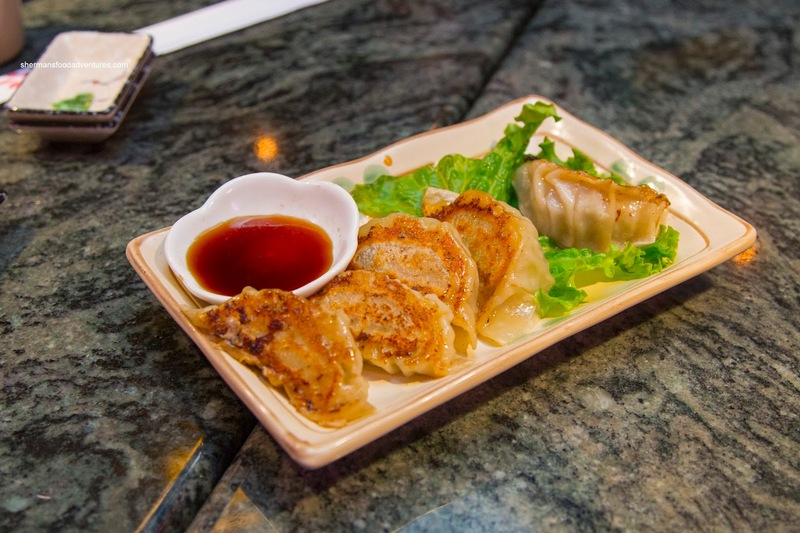 Compared to the restaurant it replaced, Hastings Sushi is relatively better and well-priced. 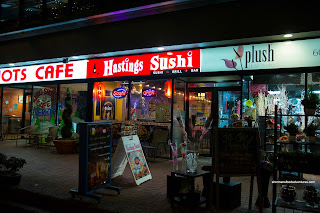 Although not high on the Japanese restaurant continuum in the GVRD, Hastings Sushi can be considered a convenient neighbourhood Japanese restaurant.